This unit begins by addressing the questions; What is an issue? What makes one issue Canadian but another a world issue? And how ought the analysis of issues of these kinds be approached and carried out? 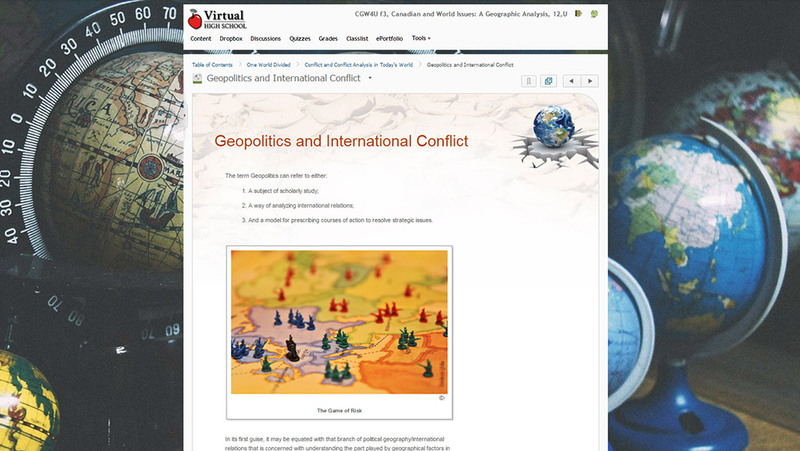 Rather than plunging headlong into a detailed study of any of the issue areas covered in the course, the next section of the unit focuses on two preliminary but important matters: the basic facts of world geography today and a familiarization with westernization, modernization and globalization. The unit begins with an examination of the terminology and basic tools of demography, including: population trends world-wide, evolutionary patterns of world population growth, population projections and policies. From there students will account for the rising volume of international migration around the world in recent years, the types and incidence of migration flows, impacts of international migrant flows, and international migration issues occurring in the world. After these examinations of growth and mobility the unit will focus on the third of these attributes of human population: distribution. In particular students will learn about the phenomenon of urbanization, and megacity population concentration. Three facets of global disparity in material standard of living are explored in this unit. These are first, its dimensions and geography; second, its underlying causes and the issues it typically gives rise to in both rich and poor regions; and third, possible remedies. Topics such as Spearman’s Rank Correlation, the Rostow Model of Economic Development, Canada’s Foreign Aid Strategy, and NGOs are covered. This unit studies the role of humanity as an agent of environmental change in an attempt to help students appreciate the nature, scope and seriousness of human-induced environmental deterioration around the globe; to provide them with some historical perspective on the present status of the planetary environment; to give students opportunities to analyse specific environmental quality issues and to familiarize them with the ideas and practices of managing resources and environments according to the principles of sustainable development. Perhaps it is no exaggeration to say that this unit - covering the nature, dimensions, causes, consequences and possible cures of conflict - deals with the most significant set of issues in the entire course. Students will investigate a current conflict of their own choice to apply what they have learned about conflict analysis in general to a specific case study, as well as suggest courses of action that could lead to a resolution of the conflict. Major theories to be explored are: the Mackinder Hypothesis, the Homer-Dixon Hypothesis, and the Huntington Hypothesis. As befits the concluding unit of any course of study, all its central concerns: population, economic development, resources and environments, and conflict analysis are brought together to provide students with a convenient summary of all that they have studied. This affords students the opportunity to apply what they have learned to imagine the future and their country's role in its making.